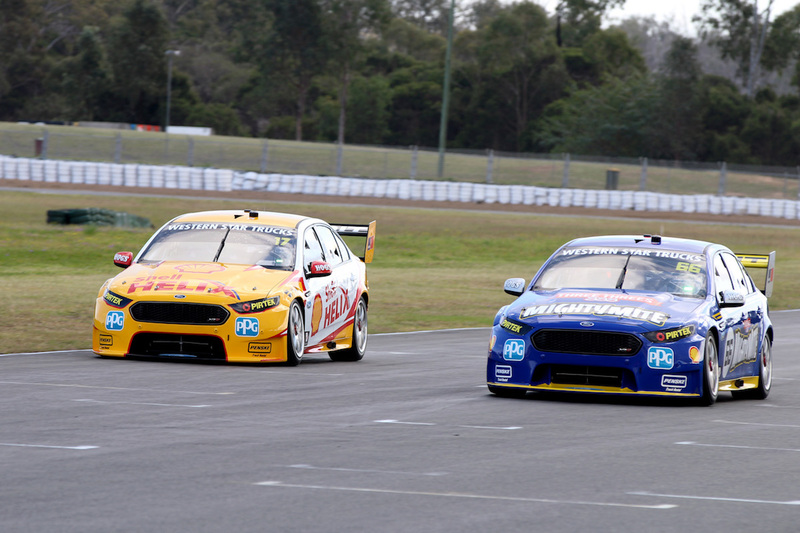 DJR Team Penske has tested its foot and leg protection tray in both Ford Falcon FG Xs at Queensland Raceway today before debuting it at the enduros. The development has garnered much attention after high profile crashes in the Virgin Australia Supercars Championship last year and after input from the Supercars technical team and the CTAP (Chassis Technical Advisory Panel), it was assessed in the cars before tackling the high-risk enduros. 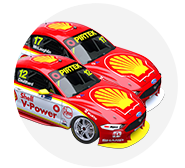 DJR Team Penske Managing Director Ryan Story said today’s test at Queensland Raceway ran smoothly with drivers and co-drivers, with no technical issues holding up the team. Driver comfort and the ability to complete driver changes at speed were the key things to assess in relation to the safety tray before using it to race. “This is the first time it has ever been in the car,” Story told supercars.com. “It’s a matter of making sure we’re not compromising safety by having it, in its most ergonomic state. There’s a degree of driver comfort, getting in and out of the car, that needs to be accommodated as well – all of those things were taken into account. “We had a couple of prototypes and have massaged the design from input from other teams, and have worked through the fit in the cars and the drivers’ comfort. The team is committed to running the safety tray for next week’s Wilson Security Sandown 500, but will further assess whether it is good to go as is, or needs more work. “We might make some modifications to feedback from drivers after we’ve used it in anger today,” Story said. “The drivers give feedback to the engineers throughout the day but sometimes it’s upon reflection – after thinking about it overnight – so we’ll have a debrief from the test day, catch up pre-event and might make a couple of changes as we load the cars into the truck. Both Sandown and Bathurst have seen huge high speed accidents, with Chaz Mostert and Scott Pye’s crashes at Mount Panorama catalysts to hurry the project along. Meanwhile, Triple Eight and TEKNO also tested today at Queensland Raceway. Craig Lowndes’s TeamVortex car suffered a fire in the engine bay on start up, but the team reported no damage and only a minor delay this morning. The day is key for Shane van Gisbergen’s co-driver Alex Premat, who was pleased with his run mid-afternoon. “It has been a really good day on track,” he told the Red Bull Racing Australia website. “This track I have driven before, but it would have been two years ago nearly. It is actually a hard track despite being very simple when you look at it. The long corners make it hard to find the limit. Will Davison also seemed pleased with TEKNO’s progress. Enduros are here, awesome time of the season.